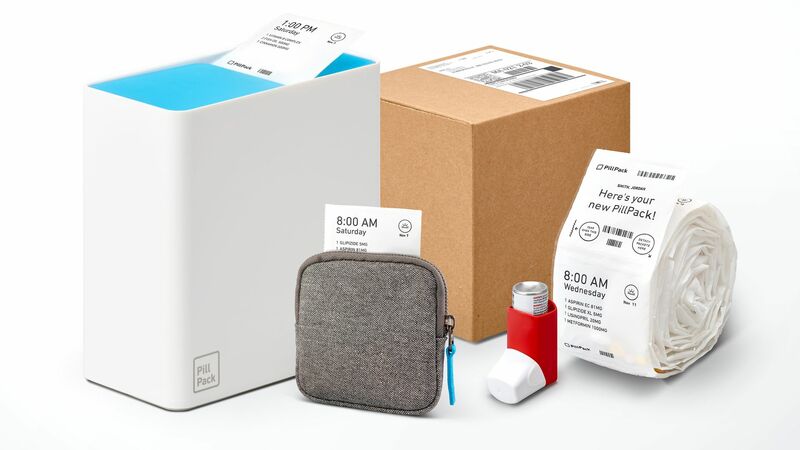 Amazon's $1 billion acquisition of mail-order pharmacy startup PillPack created an industry-wide frenzy, as prognosticators forecast doom for traditional pharmacies like Walgreens and Rite Aid. But Amazon still has a long way to go if it wants to drastically change the drug supply chain. The big picture: Amazon is buying a small player in a highly regulated industry dominated by powerful incumbent companies that aren't willing to give up their turf. The online retailing giant will have to build or acquire more parts to make a big difference. The unresolved issue: Payment. Uninsured people or patients willing to pay cash for their prescriptions can easily switch to PillPack, but that is a tiny part of the market. Pharmacies need to be in the networks of pharmacy benefit managers (PBMs) — the middlemen of the drug supply chain — if they want to dispense drugs to most people. The big PBMs often steer insured patients to their own mail-order pharmacies. PillPack is an in-network pharmacy for all of the major PBMs, but its contract with Express Scripts may discontinue by the end of July. A PillPack spokesperson said the company doesn't comment on negotiations. An Express Scripts spokesperson said, "If PillPack elects to terminate our agreement, we are committed to ensuring no gaps in care for patients." The bottom line: Pharmacies are tethered to PBMs in the current system. That means Amazon will have to play ball with the big guns that often create favorable contracts for themselves, or "Amazon needs to buy a PBM (which is possible) to have a meaningful impact on market share," Ann Hynes of investment bank Mizuho Securities USA wrote in a note to Wall Street. Yes, but: Amazon has 100 million Prime members who very well could demand their prescriptions be covered through Amazon's pharmacy. "This is a multiyear, if not decade-long, chess game," pharmaceutical supply chain expert Stephen Buck said. Flashback: Amazon used to own 40% of Drugstore.com, an early iteration of an online pharmacy. But PBMs did not include Drugstore.com in their networks, according to Steven Halper of financial firm Cantor Fitzgerald. So Drugstore.com left the prescription business, was bought out by Walgreens, and then shut down in a matter of years.